***Click Virtual Media for VIDEO*** What a view! You don't want to miss this 4 bedroom 2.5 bath well maintained home. All electric except the gas fireplace. 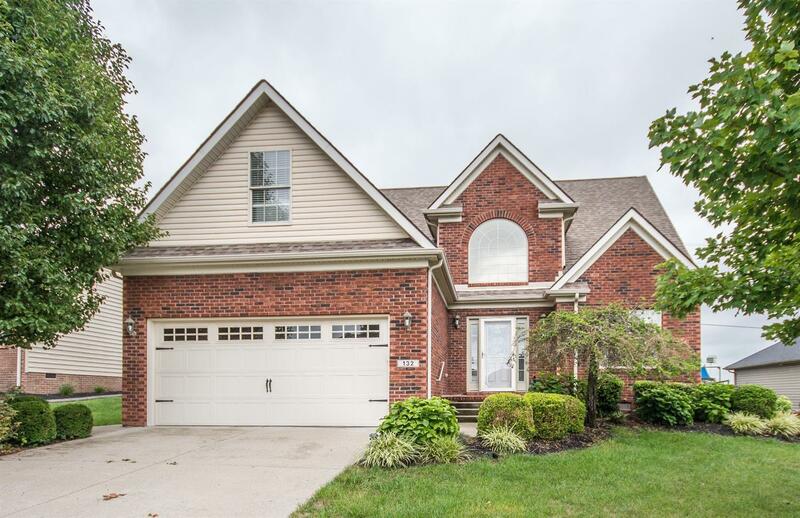 This home includes beautiful hardwood floors, stone fireplace, and open 2 story foyer/staircase. 2nd story hallway overlooks the great room. Spacious kitchen with cherry cabinets and a breakfast area and kitchen bar. First Floor Master suite with double trey ceiling, garden tub, separate shower, double bowl vanity, tile floors and walk in closet. You will love the custom built sunroom with storage above. Outside enjoy the extra large patio and amazing views from the flat backyard. Sunroom has no direct heat/air source, but gets conditioned air from the adjacent rooms. Seller has a portable Haier air conditioner that can stay for supplemental cooling if desired. This home is built on a crawl space, which is much more comfortable to walk and stand on than a slab foundation. 1 Year First American Home Warranty included.